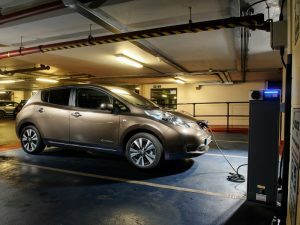 The Department for Transport has put forward plans to make electric vehicle charging points and hydrogen fueling stations easier to access and more widespread. The DfT wants to make it easier for electric and hydrogen vehicles to fill up. Part of the Modern Transport Bill, announced in the Queen’s Speech in May, the proposals have begun a four-week consultation process and are aimed at supporting ongoing growth of ultra-low emission vehicle sales in the UK. Suggestions include single-membership access to charging points, with an online or app-based database of their locations and transparent pricing for electricity and hydrogen. The DfT also wants to support standardisation for public units, better provision of charging and hydrogen infrastructure at large forecourts and motorway service areas and smart charging to manage to load on the grid. Secretary of State for Transport Chris Grayling said: “We are committed to making transport cleaner and giving even more drivers the option of using a low emission vehicle as we strive to improve air quality across the country. “Our ambition is for nearly all new cars and vans to be zero emission by 2040, and we are taking real steps to achieve this in the Modern Transport Bill. We now want to hear the views of businesses and the wider public.